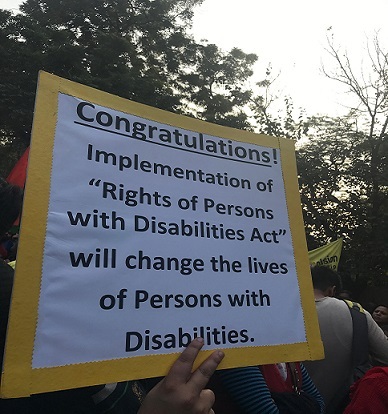 Disabled Rights Group members gathered at Jantar Mantar to celebrate the passage of the Rights of Persons with Disabilities Bill 2016. Disabled Rights Group members celebrate the passing of the Rights of Persons with Disabilities Bill 2016. Seen in this picture are individuals holding placards that read - From 7 disabilities to 21 disabilities, we welcome the new law! Seen here are representatives of Action for Ability Development and Inclusion (AADI) who joined in the celebration at Jantar Mantar. A close-up photo of a placard that reads - Congratulations! Implementation of Rights of Persons with Disabilities Act will change the lives of Persons with Disabilities! 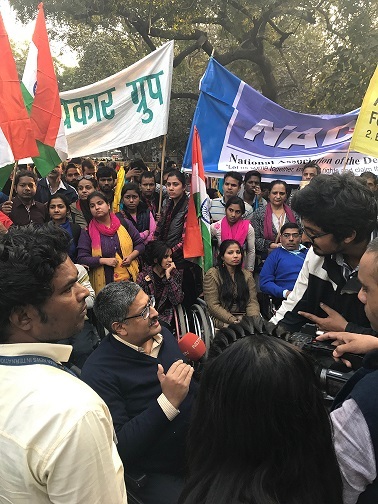 Seen here is Javed Abidi, Convenor, Disabled Rights Group addressing the media at Jantar Mantar. 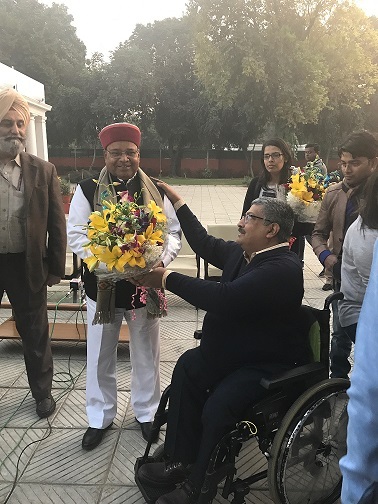 Disabled Rights Group members moved to the Hon'ble Minister, Thawarchand Gehlot's residence to call upon him and congratulate him for his efforts to ensure the passage of the Bill. 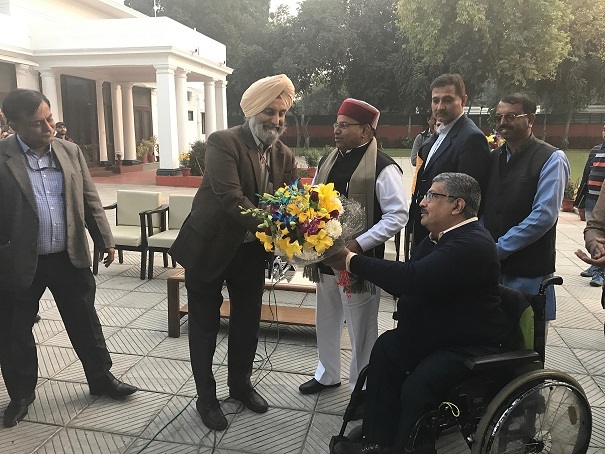 Javed Abidi welcomes the Hon'ble Minister with a bouquet of flowers. 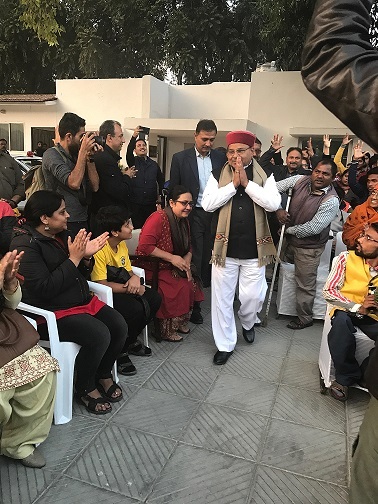 Javed Abidi welcomes the Secretary, Department of Empowerment of Persons with Disabilities, N.S. Kang with a bouquet of flowers. 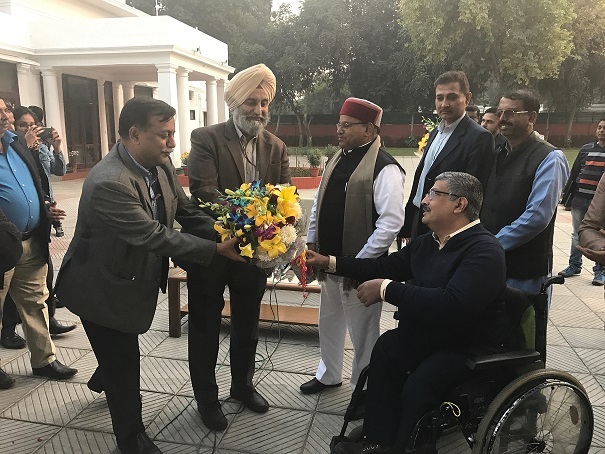 Javed Abidi welcomes the Joint Secretary, Department of Empowerment of Persons with Disabilities, Awanish Awasthi with a bouquet of flowers. Crowds celebrate the passage of the Bill with the Hon'ble Minister. Seen here are individuals offering sweets. 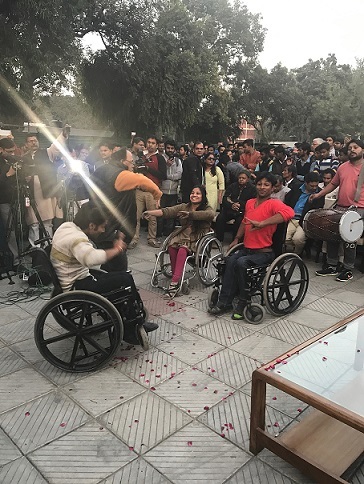 People on wheelchairs dancing with joy to celebrate the passage of the Bill. Seen here in this photo are Hon'ble Minister, MSJE and Javed Abidi showing the victory sign. Glimpse of the crowd at the Hon'ble Minister's residence on December 16, 2016.